Thailand is a country known for tropical beaches, opulent royal palaces, ancient ruins and ornate temples displaying figures of Buddha, a revered symbol. In Bangkok, the capital, an ultramodern cityscape rises next to quiet canal and riverside communities. Here are 100 Reasons to visit Thailand. Whether you visit in December or May, expect warm weather and mostly clear days. There are seasons in Thailand, they’re just a little different from the ones we’re used to – cool, hot and rainy. Laos, Cambodia, Vietnam are all close by and easily accessible. Thai food is internationally famous. Whether chilli-hot or comparatively blands, harmony is the guiding principle behind each dish. While Thailand is known for its relaxing beaches, it will also allow you to discover energetic sports like Muay Thai, the most popular sport in Thailand. It has a long history in Thailand and started spreading out to the rest of the world in the late 80’s. The mangrove forest is wild and green and the islands rainforest is shown at its best. Go for a jungle walk to one of the islands otherwise empty waterfalls and have it all for yourself. Thais know what real recycling is. Apart from the bright, eye-catching colours of their boats there’s one element that stands out – a massive engine taken out from a car and installed on a hinge with a propeller attached to it. If adventure travel is what you love, then Northern Thailand is the place for you. It’s a comfy overnight train ride from Bangkok to Chiang Mai. From the jungles and elephants in Khao Yai National Park, to the famed lake of Khao Sok in the south, to the famous jungle and hill tribe treks near Chiang Mai, you can get your tropical jungle fix very easily here. The Songkran festival is the traditional Thai New Year's Day and is celebrated from 13 April to 15 April. Set between the cities of Krabi and Ao Nang is the blissful Railay Beach. This Krabi Province location is internationally recognized for its paradise-like surroundings, including towering limestone cliffs that attract rock climbers from near and far. The grand UNESCO World Heritage sites of Sukhothai and Ayutthaya are two of the region’s most impressive historical ruins sites. Rent a bike and explore at your own pace. Art in Paradise, a very successful interactive museum in Singapore as well, is now open at Esplanade Shopping Mall on Ratchada road. Also called the Trickeye 3D Museum, Art in Paradise is great fun for friends and family to spend hours exploring the visual perspective illusions. A clear, spicy and sour soup composed of stock, kaffir lime leaves, lemongrass and a variety of other ingredients. Typically served in a coconut husk, this dessert deserves a spot all by itself. Creamy and ever so refreshing, coconut ice cream can be very addictive in the hot Bangkok weather. Prepare for a sensory explosion in Thailand’s outdoor food markets where homegrown cooks create delectable, sometimes simple, other times complex local dishes. Live like a king for a daily budget of around $20- $30 a day. You can feel like the only person in the world on a private beach. Of course a lot of the more popular beaches and island stop offs like Phi Phi are super duper busy and full of travelers, but there is solitude and tranquility to be found. Thailand is one of the best places on Earth to admire the underwater world. Krabi is known for its gigantic limestone walls and for that reason it is the Thai capital of rock climbing. The Grand Palace is a complex of buildings at the heart of Bangkok. The palace has been the official residence of the Kings of Siam since 1782. The Golden Buddha, officially titled Phra Phuttha Maha Suwan Patimakon, is a gold statue, with a weight of 5.5 tons. It is located in the temple of Wat Traimit, Bangkok. Sanctuary of Truth is a temple construction in Pattaya. The sanctuary is an all-wood building filled with sculptures based on traditional Buddhist and Hindu motifs. The women of the hill tribe believe longer necks are beautiful hence the trend of the gold rings around the necks of many of the tribeswomen. A great thing about visiting other country is the opportunity to see how other cultures work and what they value. The Ananta Samakhom Throne Hall is a former reception hall within Dusit Palace in Bangkok, Thailand. It now serves as a museum and is from time to time employed for certain state occasions. Walking Street is a red-light district in the city of Pattaya. It is a tourist attraction that draws foreigners and Thai nationals, primarily for the night life. Wat Umong is a 700-year-old Buddhist temple in Chiang Mai, Thailand. Ko Samet is one of the eastern seaboard islands of Thailand. It is in the Gulf of Thailand off the coastline of the Thai province of Rayong, approximately 220 kilometres southeast of Bangkok. Siam Park City is an amusement and water park in the Khan Na Yao district of Bangkok, Thailand. It opened in November 1980. Working hours: Water Park 10:00 – 17:00 every day, Amusement Park 11:00 – 18:00 every day. King Prajadhipok Museum is a museum in Pom Prap Sattru Phai District, Bangkok. The building has three floors of permanent exhibitions relating to royal life. Thonburi is an area of modern Bangkok. During the era of the kingdom of Ayutthaya, its location on the right bank at the mouth of the Chao Phraya River had made it an important garrison town. Ko Samui, one of Thailand’s largest islands in the Gulf of Thailand, is known for its palm-fringed beaches circling coconut groves and dense, mountainous rainforest. It’s also home to luxury resorts, posh spas and a rowdy nightlife scene that often attracts a backpacker crowd. The 12m-tall golden Big Buddha statue at Wat Phra Yai temple is a local landmark. Chiang Mai is a city in mountainous northern Thailand that dates back to the 1200s. Its Old City area still retains vestiges of walls and moats from its history as a cultural and religious center. It’s also home to hundreds of elaborate temples, including 14th-century Wat Phra Singh and 15th-century Wat Chedi Luang, adorned with carved serpents. 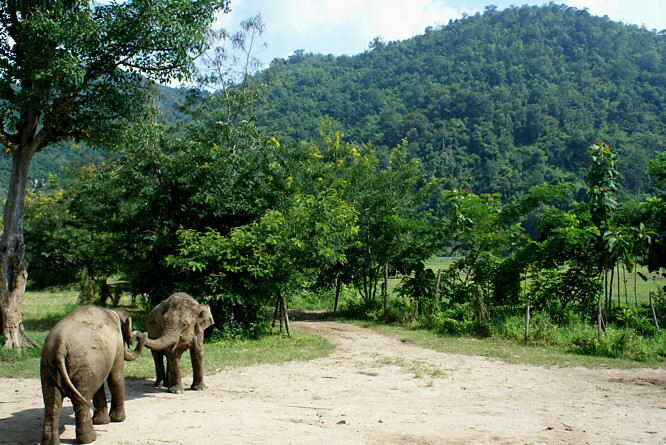 Khao Yai National Park covers more than 2,000 square kilometers of forest and grassland in central Thailand. Over 50 kilometers of hiking and biking trails wind through the long-standing nature preserve, and its many waterfalls include 150m-tall Haew Narok and 20m-tall Haew Suwat, immortalized in the Danny Boyle film “The Beach.” The park also shelters diverse wildlife like bears, gibbons, elephants and hornbills. Wat Ratchanatdaram is a buddhist temple located at the intersection between Ratchadamnoen Klang and Maha Chai Road, in Phra Nakhon district, Bangkok. The Vimanmek Mansion is a former royal palace in Bangkok. It is also known as Vimanmek Palace. It is located in the Dusit Palace complex, nearby Dusit Zoo in Dusit district. If cultural richness is what get you on, Thailand promises you the very best. Thai or Siam (as it is commonly known as) is one of the richest cultures of the world. The architecture of the ancient King's residence, the temples, the Buddhist rituals, and the traditional performances will mesmerize you. Wat Pho, also spelt Wat Po, is a Buddhist temple complex in Phra Nakhon district, Bangkok. It is located in the Rattanakosin district directly to the south of the Grand Palace. Royal Barge National Museum is a museum in Bangkok. It is located on the northern rim of Bangkok Noi canal within Bangkok Noi district. Some historical royal barges of the Royal Barge Procession are kept at the museum. Wat Mahathat Yuwaratrangsarit is a Buddhist temple in Bangkok. It is one of the 10 royal temples of the highest class in Bangkok. They don’t call it the “Land of Smiles” for nothing. While there are occasional tourist scams and once in a while you’ll encounter someone who isn’t smiling, by and large the people of Thailand are friendly, open and kind. Thailand is a country where you can get as local or foreign as you like. Because of all the tourists and expats who live here, the country is very cosmopolitan and international. If you want to lay on beaches, you can do so, but if you want to fill your days with temples, walks, treks, elephants, diving, boat tours, street food, national parks, cycling, diving, climbing, cooking classes, or just drinking endless Chang in the sunshine, you can fill up hours and days without even realising. Wat Arun Ratchawararam Ratchawaramahawihan or Wat Arun is a Buddhist temple in Bangkok Yai district of Bangkok, on the Thonburi west bank of the Chao Phraya River. Wat Phra Kaew is regarded as the most sacred Buddhist temple in Thailand. The Emerald Buddha housed in the temple is a potent religio-political symbol and the palladium of Thai society. Nong Nooch Tropical Botanical Garden is a 500-acre botanical garden and tourist attraction at kilometer 163 on Sukhumvit Road in Chonburi Province. It can be reached via bus, taxi or private land transportation. The southern islands of Phuket are well-known for their amazing beaches, but less-known for what could be called a diver’s dream. Ko Chang, one of the largest Thai islands in the Gulf of Thailand, contains dense, steep jungle. Mu Ko Chang National Park, a preserve with hiking trails and waterfalls like the tiered Klong Plu, covers the interior and extends to offshore coral reefs. The coast is dotted with beaches and villages such as Bang Bao, which is built on piers. A holiday in Thailand is perfect for those craving some pampering! Ko Samui is a haven of luxury hotels and spas, with 5-star retreats offering massages, body wraps, facials and a range of specialist treatments. The dollar goes a long way in Thailand. There are hundreds of hotels and guesthouses for under $20 a night. Thai food is likewise inexpensive and often the street food vendors, who typically sell dishes for the equivalent of $1 or less, offer the most delicious stuff. Want to splurge? Even better, as Thailand has some amazing hotels and resorts, all for significantly less than you would pay back home. If you like markets, bargains or cool and quirky stuff, you’ll find shopping in Thailand very rewarding. Big city markets carry everything from shoes to art, and the malls in Bangkok are some of the fanciest in the world. Thailand is convenient. Hungry at 3:30am? There’s someone around to sell you food. Need to take a bus to Vietnam? That can be easily arranged. Once you’re in the country, it’s easy and cheap to get around, thanks mostly to Thai Air Asia’s budget fares and good timetables. If you book ahead and aren’t traveling during the peak season, it’s quite common to get a round-trip ticket from Bangkok to Phuket for $100. Thais are pretty good looking. There’s a reason so many people come here and marry Thais. Chatuchak weekend market, situated on Kamphaeng Phet 2 Road, Chatuchak, Bangkok, is the largest market in Thailand. Chatuchak Market, also known as JJ Market, has more than 8000 stalls which are separated into 27 sections. Thailand is a country where you can do a lot even with small kids. If you love tropical fruit, this country is for you! Fried grasshopper? Spicy locusts? Do like the locals and munch on the crunchy delicacies of Thailand. On the open, and pretty murky waters, you can make a few purchases, watch the locals at work and see the city’s epic monuments in the background. Ayutthaya is a city in Thailand, about 80 kilometers north of Bangkok. It was capital of the Kingdom of Siam, and a prosperous international trading port, from 1350 until razed by the Burmese in 1767. The ruins of the old city now form the Ayutthaya Historical Park, an archaeological site that contains palaces, Buddhist temples, monasteries and statues. Renting a kayak can be one of the best ways to see the neighbouring islands of Koh Phi Phi. Whether you are on the beach or in one of Thailand’s cities, you won’t be far from the bars and nightclubs that have made the country famous. Don’t worry, it’s not all go-go bars and scantily clad women! There are plenty of discos, nightclubs and regular bars, too. Wat Bowonniwet Vihara Rajavaravihara is a major Buddhist temple in Phra Nakhon district, Bangkok. Don’t Ride Elephants, Wash Them Instead! 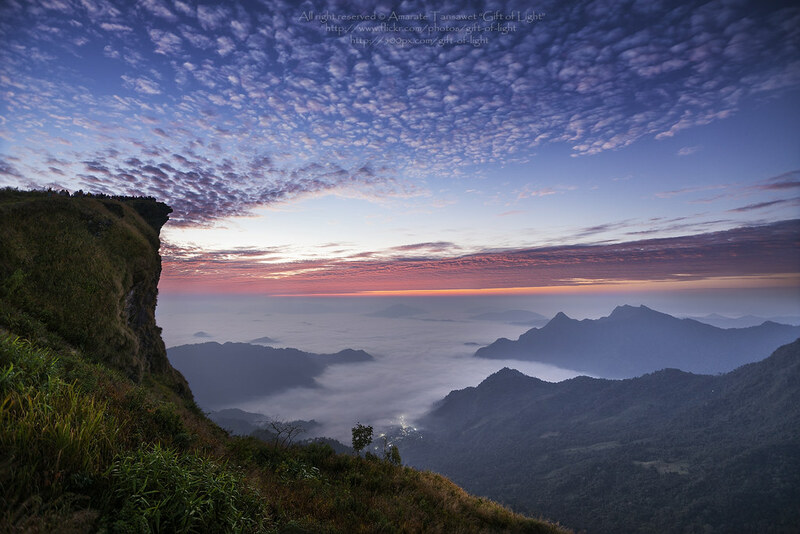 Phu Chi Fa, also Phu Chee Fah, is a mountain and national forest park in Thailand at the east edge of the Thoeng District, Chiang Rai Province. Phu Chi Fa is at the northeastern end of the Phi Pan Nam Range, 12 km to the southwest of Doi Pha Tang. 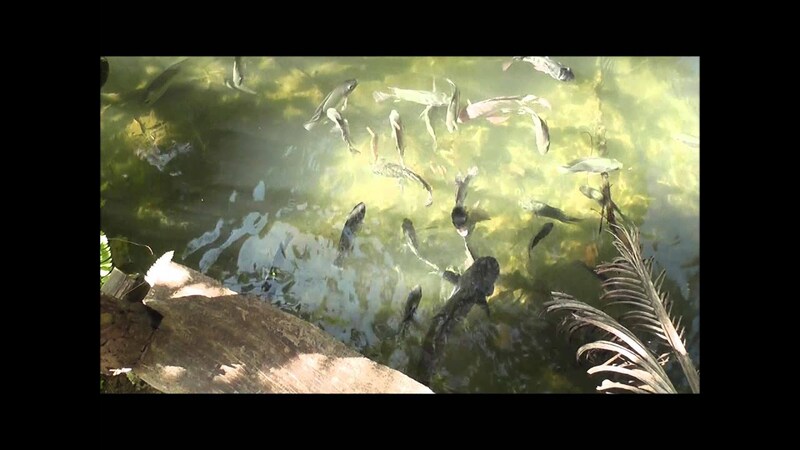 Dusit Zoo at Khao Din Park is a city zoo in Bangkok. Located at Khao Din Park in Bangkok's Dusit District next to the Parliament House and Dusit Palace, it is the oldest zoo of Thailand. It's so easy to travel around. Tuk tuk ride anybody? Thai massages are the best. They're cheap and you can pick one up almost anywhere! While Thailand has been developed for years and many of the best beaches have been ruined through uncontrolled development, you can still find some pristine, picture perfect islands and beaches around the country. Thais learn to get along with the chaos. The chaos looks maddening but it does not disturb their inner peace. The temple is often referred to as "Doi Suthep" although this is actually the name of the mountain where it's located. It is a sacred site to many Thai people. Wat Chedi Luang is a Buddhist temple in the historic centre of Chiang Mai. The current temple grounds were originally made up of three temples — Wat Chedi Luang, Wat Ho Tham and Wat Sukmin. Make like the little ladies and learn the tricks of the trade. Wat Benchamabophit Dusitvanaram is a Buddhist temple in the Dusit district of Bangkok. Also known as the marble temple, it is one of Bangkok's most beautiful temples and a major tourist attraction. Patong is a beach resort town on the west coast of Phuket Island, in the southwest of Thailand. Its sandy, crescent beach is lined with cafes, restaurants and bars. The famously raucous nightlife scene features beer bars, go-go bars, nightclubs, massage parlors and transgender cabarets that overflow into the street along neon-lit Bangla Road and in the Paradise Complex. Wat Suthat Thep Wararam is a Buddhist temple in Bangkok. It is a royal temple of the first grade, one of ten such temples in Bangkok. Construction was begun by King Rama I in 1807. Wat Saket Ratcha Wora Maha Wihan is a Buddhist temple in Pom Prap Sattru Phai district, Bangkok. The temple dates back to the Ayutthaya era, when it was known as Wat Sakae. Wat Phra Singh is a Buddhist temple in Chiang Mai, Northern Thailand. King Ananda Mahidol, the older brother of the present King Bhumibol Adulyadej, bestowed it the status of Royal temple of the first grade in 1935. There is no shortage of this national noodle dish. Fly boarding is the new extreme sport that gives you aqua superpowers. Jomtien or Jomtien Beach, on road signs and road maps also often written Chom Tian, is a town on the east coast of the Gulf of Thailand about 165 km southeast of Bangkok in Chonburi Province. Karon Beach refers to a beach, and the town adjoining it, on the west coast of Phuket. Buddhism is the country’s predominant religion and it influences everything from the architecture to the way people interact with each other. Any of the country’s major cities have breathtaking Buddhist temples to visit, Chiang Mai and Bangkok especially.